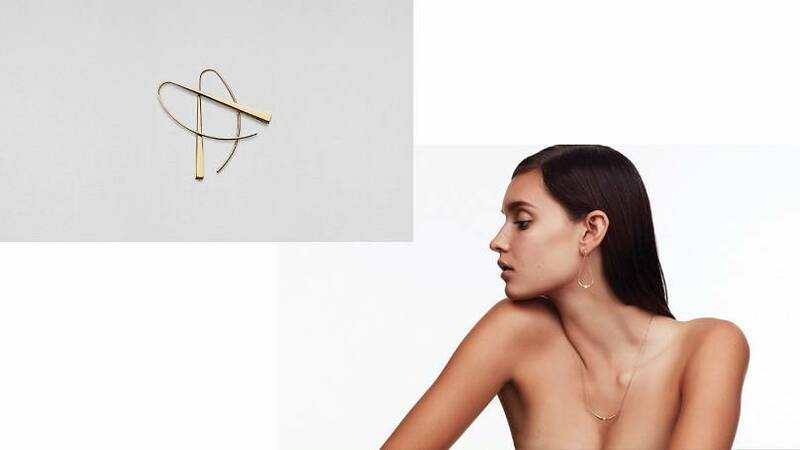 Among the earliest pioneers in the areas of sustainable fashion and design, veteran designers Isabel Encinias and Mark Kroeker decided to join forces in 2016 to create one of the world’s first sustainable fine jewellery companies, Tejen. Encinias, who is based in Paris, and has been designing jewellery for some of the world’s best-known brands for more than 20 years, was first introduced to notions of sustainability during her three-year stint as design director of John Hardy, the jewellery company eponymously named after its environmentalist founder. After three years in Indonesia, Encinias was persuaded to helm accessories design at Donna Karan’s ambitious new lifestyle company, Urban Zen. Back in 2007, when Urban Zen was founded, it was arguably the world’s first truly sustainable luxury brand, not just utilizing organic fabrics but conducting social impact programs like educating artisans in Haiti about design and sustainability in order to give them exposure and access to international markets. Tejen was originally conceived as a lifestyle brand based on the idea of sustainable luxury, potentially encompassing leather and cashmere in addition to fine jewellery. 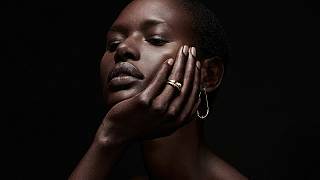 But wanting to send a clear signal that the brand was unequivocally purveying luxury, the duo decided to launch fine jewellery first. Thus, in 2016, Tejen unveiled its first collection at the prestigious Couture fine jewellery show in Las Vegas. 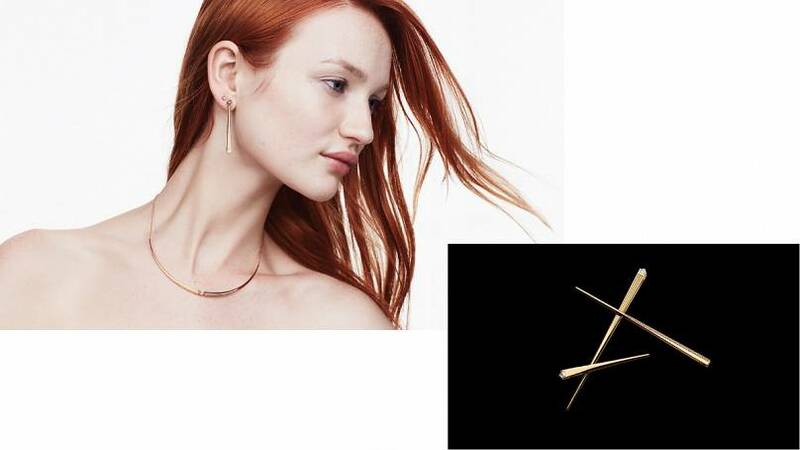 The principal material in Tejen jewellery is Fairmined 18K gold. “Fairmined” is the “assurance label” certifying that a mining operation has met the standards of the Alliance for Responsible Mining. Founded in 2004, ARM’s agenda targets small-scale mining, the sort which customarily attracts impecunious, hard-scrabble miners trying to eke out a living. Rather than trying to overhaul this industry, ARM seeks to professionalize small-scale mining by making it more efficient, safe and commercially viable. ARM’s activity is preventative and proactive, addressing both environmental and social issues endemic to this type of mining. On the social development front, criteria for certification include no link to child labour or conflict situations while requiring mining operators to promote enterprise and well-being in their communities. On the environmental front, mining operations must minimize damage to the environment by reducing the use of chemicals and protecting water supplies while ensuring the safe handling of the extracted materials. “It’s all ecologically sound because these mines are not using large scale industrial mining techniques or cutting off the tops of mountains. ARM guarantees a fair price to the miners and the social programs empower entire communities.” explains Encinias. To ensure that nothing falls through the cracks, ARM usually takes between 12 to 24 months to certify an operation. Once certified, the mining operator continues to be subject to ARM’s monitoring. Tejen subjects its making process to equally stringent procedures and has worked closely with an atelier based in the Alsace-Lorraine region of France to develop a failsafe process vouchsafing its gold’s chain of custody. Together with two other sustainable jewellery companies who obtain their gold from the same Fairmined dealer, “the three of us set up a system with our gold dealer and the atelier. The dealer directly sends a numbered batch of gold to the atelier. Then, we have dedicated castings twice a month that use this batched gold and every single piece and casting tree is marked with the batch number, so it cannot be mixed with anything else. Anything left over is sent back to the dealer so that he can sell it as recycled Fairmined gold. Each batch is followed through down to the invoicing so that, for each piece of jewellery, we know which batch it came from,” Encinias explains. As for gemstones, Tejen uses natural diamonds because the provenance of coloured stones is practically impossible to trace. Lab-grown diamonds are generally considered more sustainable and ethical than the natural article but “Mark and I wanted to continue with regular diamonds because it’s important to support diamond miners,” emphasises Encinias. Considering the investment, care and research which go into every phase of making their products, it’s hardly surprising that Encinias and Kroeker seek to design timeless jewels. To pass muster, a design must be eye-catching and edgy enough to be sold at, say, Colette (when that retailer still existed), but also possess the enduring iconicity of a jewel enshrined in the permanent collection of the Metropolitan Museum. “Our first collection was inspired by the name of our brand, tejen, which means “obelisk” in ancient Egyptian. Obelisks were placed next to sacred sites, in order to pierce through negative energy and disperse it. We loved this beautiful symbology, so we created an entire collection around it. They can be considered amulets if you’re superstitious but it’s really about clean, beautiful lines,” enthuses Encinias. “Our second collection, Sable Doré, is less minimalist and inspired by pearls. As the name suggests, it has to do with the sand dunes and the movement of the desert. Thus, it doesn’t have sharp angles.” Tejen’s most recent collection, Molten, is inspired by the sinuous, fluid, dripping shapes of molten gold and the designs resemble pieces of “stretched molasses.” Tejen’s Sable Doré and Molten collections will be launching exclusively in Barneys New York this month.